The Mazwai sisters, Thandiswa, Ntsiki and Nomsa in association with the Steve Biko Foundation spearhead the 'Bring Back Biko's Autopsy' petition. It all started when news broke that the Steele siblings were trying to auction off Steve Biko and Ahmed Timol's autopsy reports. This of course didn't go down well with the conscious sisters hence the call for a petition. Nomsa further adds, " how can you take a piece of history that is so important to many people, a piece of SA's heritage and rubbish it off just like that." The Steve Biko Foundation, the Biko Family and the Timol Family are deeply disappointed that in their statement of December 4, 2014, Mr. Clive Steele and Ms. Susan Steele have not addressed the matter of returning the autopsies of Mr. Ahmed Timol and Mr. Steve Biko to their respective families. The facts are that the Biko Family together with the Steve Biko Foundation and the Timol Family acted to protect the sale of documents that are not only of familial value, but are also of national significance. The Steeles were given ample time to explain themselves; yet they did not. The lawyers subsequently went to court on December 3rd at 08h30 because the auction was imminent--scheduled to take place on December 3rd at 10h00. Despite being served papers to appear, the Steeles were conspicuously absent and did not send representation. The mini documentary below follows Nomsa as she takes it to the streets, to the people and explaining why this cannot happen. 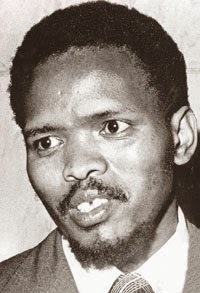 You can honour Steve Biko's legacy by signing a petition HERE.